To recap – eighty percent of all people sleep on their sides. For many of us, it’s the most comfortable way to sleep. But sleeping on your side, with the side of your face against the pillow, causes wear and tear on the elastin on the skin on your face, which can lead to permanent wrinkles. This is called pillow damage and can show up in the form of clogged pores, frown lines, wrinkles or lines in the eye area or on either side of your nose and mouth. To make a long story short, it’s possible that your pillow is making you look older than you actually are. Now, as all the ladies can tell you, this is definitely not good news! It’s a terrible thing to wake up, look in the mirror, and see fine or deep lines crossing your face. Enter the Vasseur Beauty Pillow! 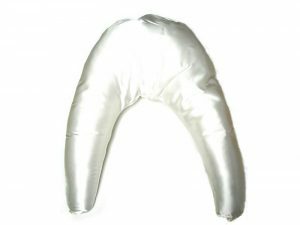 It is a pillow that is specifically meant to prevent the formation of sleep wrinkles. •	The inverted U shape. Its unusual shape is designed to ensure that your face stays as wrinkle free as possible. The closest description I can think of is that it looks a little like a tooth, with a flat upper surface and the roots of the tooth extending downwards. The back of your head rests on the flat side, with the two longer parts framing each side of your face. •	The satin pillowcase. Satin, unlike cotton, has a slippery texture to it and minimizes the pull on your face. And, unlike cotton as well, satin does not absorb the moisturizing products you put on your skin so that these products actually have a chance to stay on your skin, and not on your bedclothes. Satin is also proven to prevent tangles from forming in your hair, so even your hair benefits from the Vasseur Beauty Pillow. •	It trains you to sleep on your back. Because your head is held in place between the two longer parts of the pillow, this can also help you train yourself to become a back-sleeper over time, since having the two long parts discourages you from turning over in the night. The less time you spend with your face against a pillow, the fewer wrinkles are formed on your skin. •	It helps with aches and pains in the neck. Again, here’s where the two long portions come into play. Since they serve as a natural guide to keep your head in position and aligned with your neck and shoulders, people who have used the Vasseur Beauty Pillow report that they wake up with no neck or back pain. •	Reduces snoring and even TMJ. Users of the Vasseur Beauty Pillow have also reported that their partners say they are snoring less. Lying down on it must keep the airways open, thus preventing snoring. TMJ is a temporomandibular joint syndrome, pain in the jaw that some people experience when they first wake up in the morning. TMJ can be caused by stress or even teeth grinding in the night. The Vasseur Beauty Pillow reportedly lessens TMJ pain. •	Inexpensive and comes in several colors. The Vasseur Beauty Pillow, unlike many specialty pillows, is not pricey at all, coming in at $49.95. I think that’s a small price to pay for beauty, don’t you? Also, it comes in a variety of colors that should suit the color scheme of your bed and bedroom – Ivory, Pink, Slate Blue, and White. 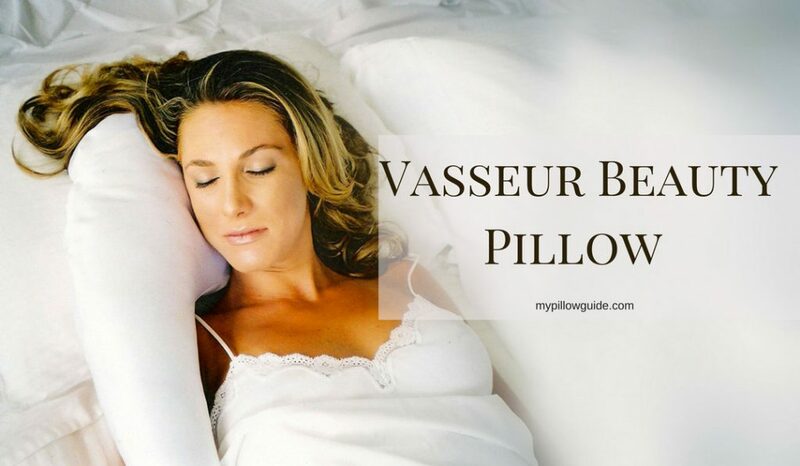 The Vasseur Beauty Pillow was created by Melanie Vasseur, the owner and founder of Vasseur Skin Care. I admit that it reassures me that the person who created this product is a beauty expert! Ms. Vasseur is an esthetician and a cosmetic chemist. She is well known in her industry and has appeared as an expert on the science of skin care on television shows, and writes for several skin publications. The website also says she teaches advance skin care education to doctors, nurses, cosmetologists and other estheticians. On the Vasseur Skin Care website, you can see the whole line of chemical-free products that the company offers, from gels to creams to serums and masks. It’s nice to know that a company that takes care of your skin also extends its line of products to pillows that keep you wrinkle-free! PS. If you see a photo of Ms. Vasseur, you’ll be impressed. She’s no longer that young, but her face is line-free and her skin looks flawless. Because of its size and shape, the Vasseur Beauty Pillow is quite versatile. I can see how convenient it would be for traveling, as it seems easy enough to pack in a regular suitcase or even your carry on luggage. But part of the beauty of this pillow is that it can also serve a number of functions, aside from being the pillow you use every night. For example, new mothers can also use it as a breastfeeding pillow, laying the baby down on it while they nurse. It’s a good height for mom to have a baby in the right position. The Vasseur Beauty Pillow is also good for the protection of your face when you’re just come out of a procedure or surgery on your face – such as botox, fillers, facelifts, rhinoplasty, etc, wherein using a regular pillow would be inadvisable while you’re still in recovery. Finally, this pillow is also good for support when you’re in bed reading or watching TV, to prop your head up when regular pillows don’t give you the height you want or need. One of the nice things about the Vasseur Beauty Pillow is that it is amazingly easy to wash and take care of since it’s fully machine washable. It’s filling is made of organic hypoallergenic virgin polyfill, which is more resistant to dust mites than down or feathers. Washing the pillow is a breeze. Take the cover off and put the pillow in the washing machine, turn on the delicate cycle, and that’s it. You can either hang it up to dry or put it in the delicate spin of your dryer for about 15 minutes. Additionally, getting extra pillow covers for the pillow is no problem either. The Vasseur Skin Care website offers additional pillowcases for $15.00 each. Best of all, if you decide that you are not a good fit for the Vasseur Beauty Pillow after you’ve bought it, the company offers a 30-day money back guarantee. The first thing she does is to tell viewers that because of its extraordinary shape, it may take time to get used to sleeping on the pillow, especially since we have been used to sleeping on our regular rectangular pillows all our lives. The pillow can actually be used on top of your regular pillow, which would elevate your head. Or, since it is thick enough, the Vasseur Beauty Pillow can be used on its own. Back-sleepers can lie on the top part, as I mentioned earlier. The nice thing about it is that chiropractors recommend this pillow, as it brings relief to painful necks and shoulders due to misalignment. Back sleepers can lay their shoulders on the long “arms” of the pillow, or bring the arms forward to rest on their shoulders, for a snug fit. The “arms” can also be something that a sleeper can hold on to while sleeping. Additionally, as I mentioned earlier if anyone has had surgery done on their face, sleeping in this position while holding on to the pillow’s longer portion is a good way to ensure proper healing because it guarantees you won’t sleep on your side. Side-sleepers rest their heads on the top of the pillow, and hug one of the long “arms,” still keeping their face off of the pillow. Or they can lean back on the other “arm” and so their face rests in the hollow between the “arms,” which also means you won’t get wrinkles. Stomach sleepers can use the Vasseur Beauty Pillow, too. They can rest their foreheads in the center bottom of the top part, with the arms on near their ears. I was so impressed when Ms. Vasseur said she has used the beauty-pillow for over eighteen years, and that she attributes it as the reason why she has no deep wrinkles beside her nose and mouth. She’s a good endorsement for how effective the pillow is because she looks so good. As I expected, there are a lot of mom and beauty bloggers out there, women like me and many of my friends who are aware of the onset of aging and are looking for ways to take care of our skin, for health’s sake and to stay as young and fresh-looking for as long as possible. Happily enough, the Vasseur Beauty pillow has well-reviewed by these lovely women bloggers, and you can read for yourself what they say about it here, just to give an example. 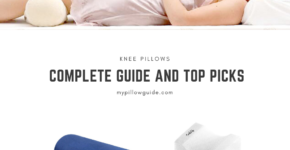 Almost universally, the people who have used the pillow have reported seeing fewer wrinkles when they wake up in the morning, which already makes it a must-have for many women. Others have also reported waking up with less neck pain, which is a worthwhile bonus right there. While most people really loved their beauty pillow, others remarked that the pillow was a little too firm for their taste. So, if you’re someone who does well with a firm pillow, you may want to give this one a try. Another comment is that the pillow goes flat a little too quickly, so there is that factor to consider as well. The Vasseur Beauty Pillow got a considerable boost when Dr. Mehmet Oz, one of Oprah Winfrey’s favorite doctors, featured it on his extremely popular TV show some time ago. He and his guest, healthcare professional Dr. Elizabeth Tanzi, discussed how commonplace things in our homes may be hidden causes of aging, and how a switch to the Vasseur Beauty Pillow could help you avoid sleep lines and wrinkles. Well, in my book, this pillow is a definite must-try when the time comes that I need an anti-aging or wrinkle defying pillow to sleep on every night. I’m not there yet, but I know that will come, maybe even sooner than I expect. Therefore, it’s good to know that products such as the Vasseur Beauty Pillow are around. We’ll all get there one day, and to be forewarned is to be forearmed! I’ll be ready with my creams, serums and anti-wrinkle pillow when I notice that lines are beginning to develop when I look at my face in the morning. I’m not ready to swap out my big, fluffy comfortable bed pillows quite yet, but one day in the future, I will be. However, if you’re interested in other kids of anti-wrinkle pillows available in the market today, I’ve written all about them here: Anti-wrinkle pillows. There is a whole selection of them, and I’ve written a short review of each one for your convenience. Sweet dreams on your favorite pillows, everyone! Let’s all stay stress and wrinkle-free. Let me know in the comments if you’ve actually tried the Vasseur Beauty Pillow. In the meantime, ciao for now!